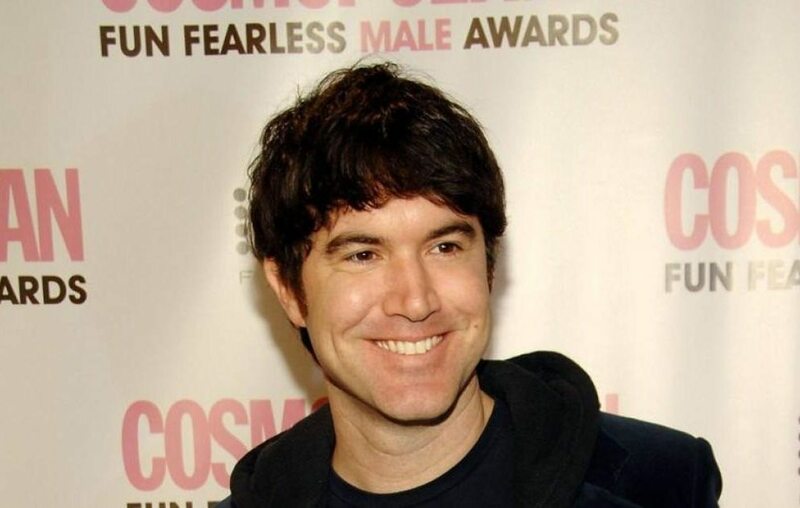 Meet Tom Anderson, the default profile photo and popular face of Myspace invention. Before Facebook came into the scene, Myspace was the deal. Before then, the Myspace founder Tom Anderson was one of the leading money bags in the social media industry. It was created after Friendster social networking service website, in Lumpur, Malaysia. In this article, you’ll get to know everything about the young millionaire, having in mind that he’s a celebrity and most internet users’ ‘first and favourite’ friend. American entrepreneur Tom Anderson was born on November 8, 1970, in San Diego, California. His father was an entrepreneur while his mother’s occupation is not known. He had his high school education at San Pasqual High in Escondido, California, from where he proceeded to both the University of California, Berkeley and the University of California, Los Angeles, where he majored in Critical Film Studies. This was after he left Taiwan. Other interesting information about his family, relations, and childhood are currently not available. At 14, Anderson was already a computer hacker under the pseudonym “Lord Flathead”. His activities attracted the attention of the Federal Bureau of Investigation (FBI) after he cracked the security of Chase Manhattan Bank. Because he was still in his teens, he was not arrested. To have studied a film-related course in the University, Tom definitely has a serious interest in entertainment. Tom made a Cameo appearance in an Adam Sandler’s Funny People film in 2009. Tom later worked at eUniverse which was founded by internet entrepreneur Brad Greenspan. Aside from the cameo appearance in the Adam Sandler film in 2009, Tom has tried his hands on a range of things. For one, he gave a shot at developing a baseball team in Las Vegas though it did not end as anticipated. The Anderson is very much active on Facebook and other social media platforms like Reddit, Twitter and Google+ with 6.5 million followers as of March 2016. To the best of our knowledge, Tom Anderson looks like he’s single as there are no records of his past relationships, wife, and family. At the moment, Tom Anderson is building his landscape photography career which he turned to after his early retirement from the internet in 2009. Since May 2012, he has been a member of RocketFrog’s advisory board. The businessman-turned-explorer is supposedly living largely from the enormous payout he netted in from MySpace deal. He currently has an estimated net worth of $60 million. MySpace former president Anderson reportedly owns a luxurious home at Highland, a city in San Bernardino County, California. Although there are no available pictures of the property, we believe Anderson’s compound in Los Angeles befits his status. Anderson once admitted that he spent a heavy part of his pre-collegiate days in music. One of his early jobs was a product tester and copywriter at XDrive, a digital storage company in 2000. This was where he first met DeWolfe who would later become another co-founder of Myspace. The first Myspace users were eUniverse employees. The popularity of the social platform declined with the inception of Facebook. Prior to that, Myspace had 1,600 employees. In 2009, the company laid off 30% of the workforce, reducing it to 100 workers. By 2011 it had gone down to 400 employees. The social networking website was later sold to Rupert Murdoch’s News Corporation for $580 million in 2005. Six years later, precisely in June 2011, Specific Media Group and Justin Timberlake jointly purchased the company for approximately $35 million. It was recently announced that Myspace and its parent company had been bought by Time Inc.
With all of its ups and downs, Myspace was ranked in 2017 as the 3,178 by total Web traffic, and 1,650 in the United States. Two years ago, it had a recorded 50.6 million unique monthly visitors with nearly 1 billion active and inactive registered users. In addition to technology, the good-looking millionaire is a good vocalist and guitarist. The landscape photographer is quite tall with a height of 6 feet, which hovers around 1.83 meters. Best known as ‘MySpace Tom’, he has captured sites in Peru, Chile, Argentina, Bolivia, Japan, China, and Canada.